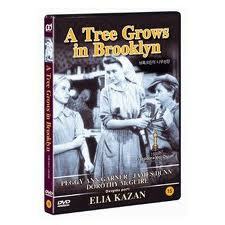 A Tree Grows in Brooklyn is a novel written in 1943 by Betty Smith and made into a movie in 1945. It is set in Williamsburg, Brooklyn, New York around 1910-1915. I grew up loving the movie. I read the book when I was already an adult. I always liked the movie more. This week I realized it was also extremely intuitive for its time. You see in the story, the daughter, Francie, a young girl of barely twelve, is sent to the butcher by her mother. Mom wants her to get 10 cents worth of round steak and then to have the butcher take the steak and grind it in the shop so it will be where he can be seen. There is already a full tray of freshly ground meat in the meat case but Francie must ask for a round steak and then, just when he is about towrap it, ask to have it ground. Why? Because Mama says, "He grinds full trays of meat behind closed doors and God only knows what he does to the meat back there." It seems that even one hundred years ago, our meat purveyors were know for slipping less than desirable things into beef grinding. 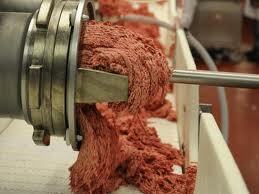 Do you think seventy years ago, the author of A Tree Grows in Brooklyn ever considered a product like pink slime? What does pink slime have to do with keeping the pounds off? Publix, a southern chain with an excellent reputation, does not use pink slime in their ground beef. Until (and if) I make the full conversion to eating only grass fed, organic meats (or no meat at all), I will be buying my ground beef from Publix. Francie's Mama would have approved because I can watch Publix butchers grind the meat through the windows into the butcher's work area. This is my favorite book, EVER! I cannot even estimate how many times I've read it. I'm going to give it to my elder daughter to read this summer. I bought ground beef for tacos last week; I buy ground beef/pork/veal for meatballs (Christmas and Easter) twice a year, and I eat a lot of ground turkey. Not really sure what I'm going to do going forward, but I've known about the pink slime thing for a long time prior to this week's "big reveal" but have been able to compartmentalize that when I do eat/use ground meat products. You really wanna be grossed out and see that nasty things happened decades ago just as well? Read "The Jungle," by Upton Sinclair. This is also my favorite book, and I have read it several times and seen the movie several times, as well. It is so poignant and honest, that I think every young person of today should read it so they know that life wasn't always the way it is today. I think I'll ask at Fry's (part of Kroger chain) because that is where I buy our one pound a month of ground beef. I'm also going to see if there is any grass fed beef options around here. Private Selection All Natural Ground Beef and Private Selection Organic Ground Beef solid in 1 lb. packages, labeled 80% lean and above." Another thing to think about - they say 70% of our ground beef has the slime in it, but also we do not have the right to know where (the country of origin)I meat hails from. Sure does not make me want to go out and have a burger. Pink slime is definitely in the news now. I've done three posts on it just this past week, since new info keeps coming up. Did you know that the Fla. senate is considering a bill to make it illegal to take photos, videos or audios of any farming or food production facilities? There is a petition link on my blog where you can let our Senators know what your thoughts are on this. Similar legislation is pending in Utah, also. You've heard of the Sunshine Law in Fla? They can call this the keep consumers in the dark law. First, I love A Tree Grows In Brooklyn. I read it for the first time when I was in high school and have read it several times since then. I've not seen the movie. Second, I don't eat nearly as much red meat as I used to and am not a big fan of ground beef. That said, when I do buy it, I buy from a local food co-op that sells beef from local farms. It's more expensive, but it's worth it to know exactly how the cows were raised and how the meat was processed, if at all (and there are plenty of other ways to save money). Born raised and educated in NYS, I have been a Florida resident for almost 20 years. As a Florida resident I must honestly say that Florida is the pink slime of consumer protection. It is the pink slime of child welfare and it is the pink slime of politicos. Norma - I remember reading the Jungle. A nightmare. E. Jane and Munchie - I am sticking to steak, at least until I have to give up meat. KCL - Beans are looking better all the time.